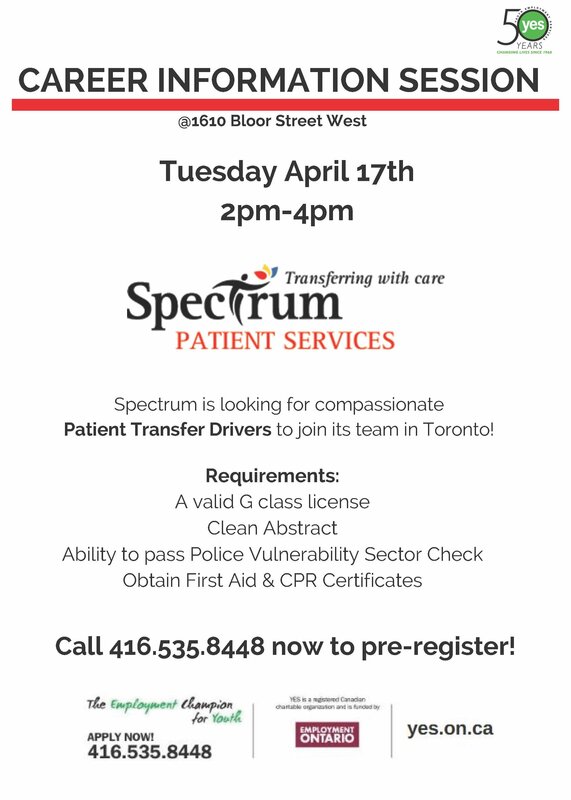 Spectrum is hiring Patient Transfer Drivers! Learn more about the role & requirements April 17th at 2pm. Call 416.535.8448 to pre-register. This entry was posted in Hiring Events, News and tagged https://www.yes.on.ca/contact-yes-online/?tag=Spectrum. Bookmark the permalink.